Emerald Forest Tropical's is a grower and distributor of over 1250 varieties of premium quality interior and exterior foliage and blooming plants. As a wholesale only company, our farm provides a wide range of plants to wholesalers, interiorscapers, garden centers, wholesale florists, landscape designers and retail florists. Our 25 years of foliage experience has allowed us to provide product to a wide variety of projects such as the Cricket World Cup, theme parks, Three Tenor concert at Giant Stadium, resorts, conferences (e.g., World Summit), hotels, Las Vegas and Atlantic City casinos, restaurants, North American Auto Show, etc. 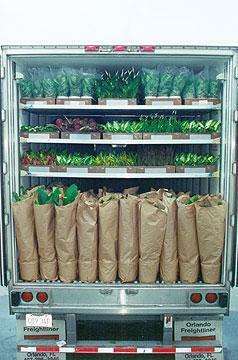 We distribute plants throughout the United States, Canada and the Caribbean Islands. We are certified to ship to the European Union countries. Thank you for choosing Emerald Forest Tropical's for your foliage needs!